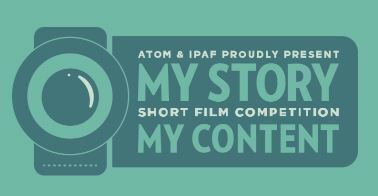 The finalists in the 2014 My Story My Content Short Film Competition have been decided and are now available on the competition website for your viewing pleasure. Presented by IP Awareness and Australian Teachers of Media (AToM), My Story My Content is open to primary, secondary and tertiary students. The competition encourages students to consider the value of creativity to the Australian economy and contestants are required to make a 60-second film that celebrates Australian screen creativity. Category winners will win $1000 cash and a 12-month subscription to Adobe Creative Cloud, with DVD packs and movie tickets amongst the other prizes up for grabs. The watch all the finalist films in all three categories, click here.